Are you Hivpoint’s new health buddy? Apply now! Hivpoint is looking for health buddies to lead sexuality education workshops in migrant and refugee communities. The health buddies will spread knowledge about sexual health, including HIV and sexually transmitted infections, in their own communities using methods of their own liking. 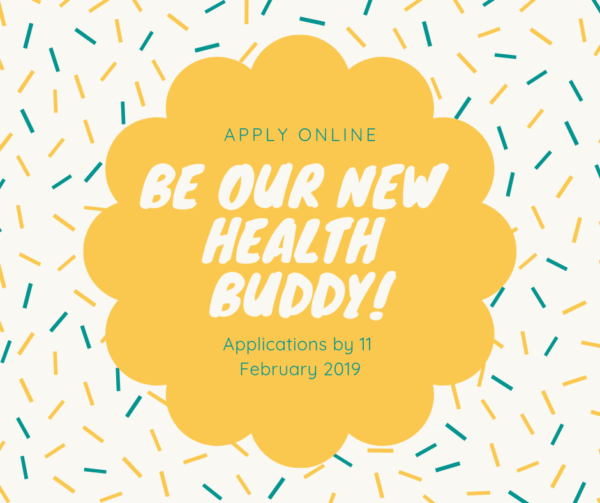 You can be our new health buddy if you…. The application closes 11 February 2019. More information: The applicant should have a community or group in mind already who they would train. The applicant has to have a respectful attitude toward sexual and cultural diversity and sufficient knowledge of either Finnish or English to be able to attend the Hivpoint training. The training of health buddies will be held in Helsinki in Finnish and English in March or April. The training is free for all participants and health buddies will not be paid to attend this training. The applicant has to commit to having five sexuality education workshops between May and November 2019. The workshops are paid. Working hours and reward: 30 euros/hour. Total amount of hours is 20 hours (five workshops, four hours per workshop including preparations, workshop and reporting). The work is very flexible, as the health buddy decides how and when to hold the workshops, as long as 20 hours are filled. You don’t need to be an expert on sexuality education yet, as we will train you on that!